The end of life discussion is difficult, but necessary for pawrents to ensure a peaceful transition for their beloved animal companion. In a recent Tripawd Talk Radio show, we gleaned valuable advice about this topic. And an in an ongoing discussion about how pack mates say goodbye, Tripawd Calpurnia‘s Mom, TC Wait, offered more enlightenment. If anyone knows about coping with this process, TC does. 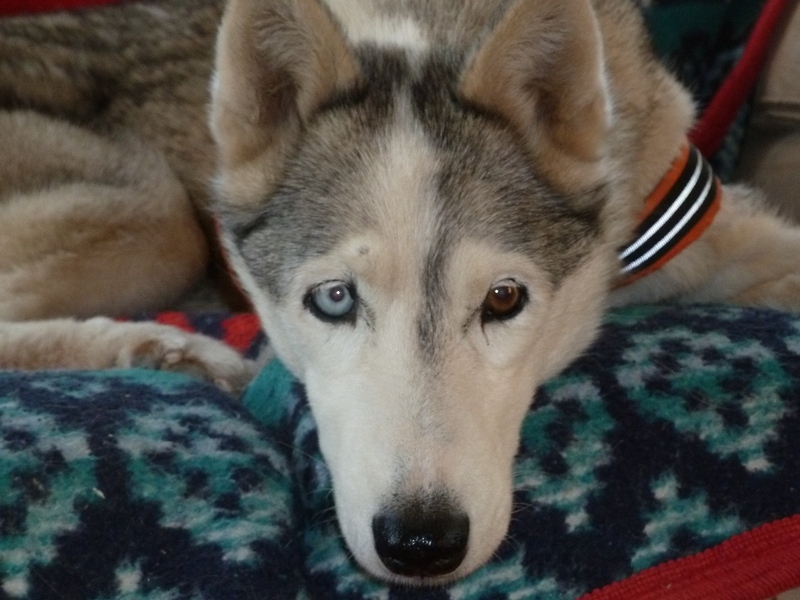 As a sled dog family, TC and her husband have always had a large pack comprised of rescue dogs of all ages. Sadly, they’ve gone through end-of-life care many times. It never gets easier, but TC has learned a lot through the years and wants to share it with this community. 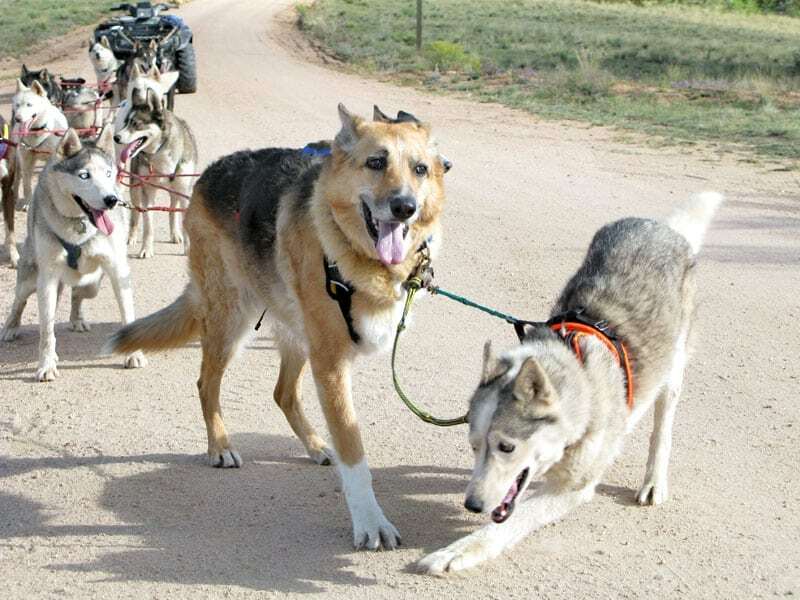 “One of the hardest things to face when you have a large pack of dogs you live your life with is when one becomes sick, old, or otherwise ailing. These dogs give us their all, consistently, all the time. They give our lives direction and meaning. Our dogs are family members. Each one is individual and cherished. 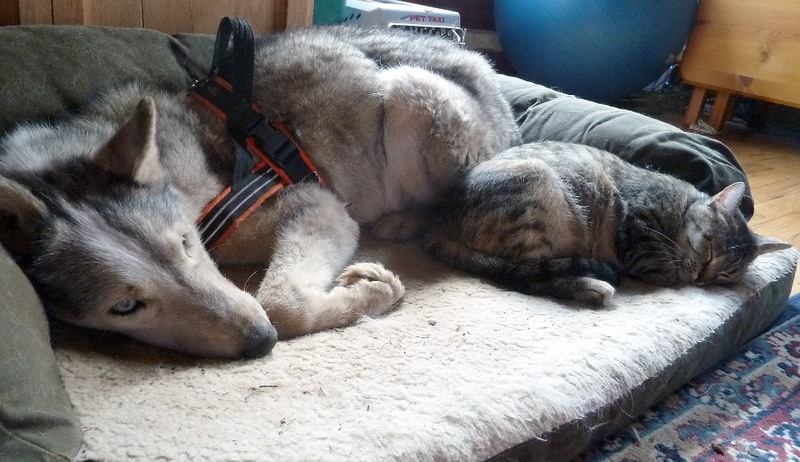 Calpurnia, our 16-year old, three-legged dog, is not doing well. She has had a long life, lead more teams than I can count, logged thousands of miles in harness, has survived starvation, a broken femur, laryngeal paralysis, and cancer. But she has reached a point in her life where we are not able to fix what is wrong. You can’t fix old age. Dying is part of living, and she has indeed lived a long and glorious life. We have been blessed to be a part of it. After our return from Alaska, she started winding down. Almost as if she had crossed the last thing off her “bucket list” that she wanted to accomplish. We took her to the vet to make sure there wasn’t anything treatable going on. But we guessed from her gaze that she was seeing trails and teams that we could not see. Dogs know things that people don’t, or won’t see. 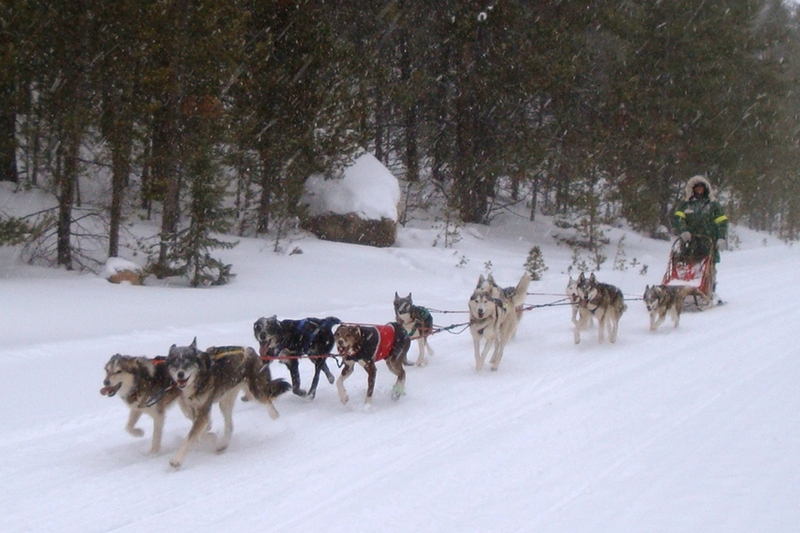 The pack behaves differently when a member is in transition, getting ready to cross over. This week the younger dogs started bringing Cali “gifts” of pine cones and sticks, and laying close to her. Even Ivy the cat has been curling up with Cali on her bed. Sitting vigil. Saying their good-byes. Transitions can take a long time, but really there is no way to tell. There are cycles of good days and bad days. End-of-life care for a friend requires patience and comfort. I have been down this road many times, and with as many furry family members as we have, have only scratched the surface of how many more times we will be here. I don’t have any answers, but I do have some thoughts to share on the end-of-life that we ALL will face at some point. There is no “right” or “wrong” here. Each dog, each situation, each day varies. All you can do is what is best for your particular friend on that particular day. Maybe it is allowing nature to do its thing, maybe it is aggressively treating an issue, maybe it is euthanasia. I have gone all these routes (and some others too) based on each unique situation. No one can tell you what is best for your situation. YOU know your animal better than anyone else, and you need to keep their needs in mind. Everyone dies. No one gets out of this contract. Dying isn’t something to fret or worry about because it is pointless. We do what we can with the time we have – as long or as short as that may be. Each day is a gift, each moment precious. Make them count. I don’t remember being born, but I can’t imagine that it was a painless process (certainly not for my mom). In that same light, I think that there is some natural discomfort in dying also. Our bodies are programed to keep fighting, sometimes beyond what they are capable of. That being said, as a pet owner I think you need to closely evaluate what level of discomfort your friend is facing and do what you can to help. I wouldn’t be afraid of pain, rather see it for what it is and try to figure out what it is telling you. Go with your heart. Lots of people like to tell you what to do. They don’t know. They can’t possibly know. YOU do. YOU have to make the decisions, do the hard work, get up a million times during the night, etc. Every time someone makes a snide comment about your decisions, keep that in mind. And try not to punch them in the neck, that just leads to legal issues. Transition from life to death can sometimes take a long time. It definitely takes a stress toll on you, and pack mates that may live with you. As much as you can, try to keep life as normal as possible. Get out and walk, watch a sunset, make a nice meal, laugh. Do the things that keep your spirit filled. 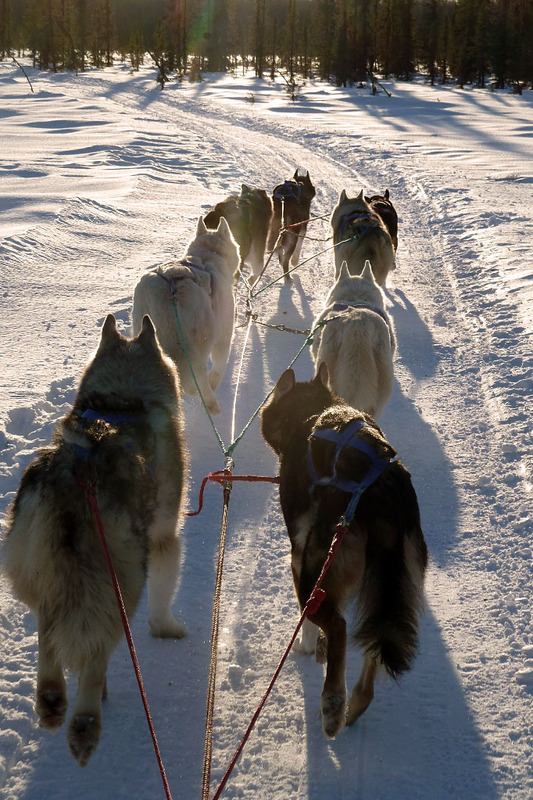 Your energy keeps the pack happy, stable, and feeling secure. Calpurnia is very peaceful. She does not appear to be stressed or in pain. We have had a series of cool, snowy days which seems to have perked her up a bit. She watches life around her, but makes little effort to be involved. More as if she is reminding herself of this life so she has memories to take with her. She takes comfort in her team members being around her. We will not rush her – we will allow Calpurnia to choose her own path and her own time as she has her whole life. We will take each day as they come and enjoy the precious moments we have left with our sweet girl. Written by TC Wait. 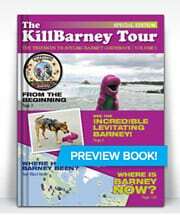 Read this in its entirety at The Adventures of the Odaroloc Sled Dogs. Calpurnia has a special place in our hearts. 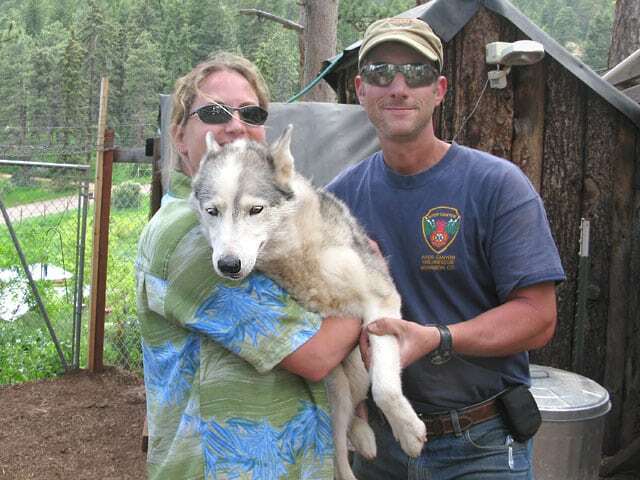 She has been a member of Tripawds since 2007. When she and Spirit Jerry met in 2008, it was love at first sight. We’ll never forget it. Our hearts are breaking knowing that she will no longer be leading us down trails here on earth, but we take comfort in knowing that Spirit Jerry will be there to welcome her into eternity. Cali passed away around 8:30 tonight. She was peaceful and surrounded by her pack. They sent a sad howl out to the universe tonight. Our hearts break for you guys. We will miss this very special girl so much. Wow – let me wipe the tears from my eyes from this very special posting. I don’t think ANYONE could have written this any better. I’ve had dogs pass at home and have had to make the decision for them. Neither was easy but the dogs and situations made the decisions themselves. My veterinarian always asks the question – are you keeping around for you or think the miracle cure will appear? This doesn’t make it easier but puts it into perspective. Big gulp here too. Lovely though. Thank you for posting this Rene and Jim. Gulp…:( That was a very good article TC. Cali is one of my favorite Tripawds! Hugs to you, Dave and Calipurnia.